While most people would agree that the interior of a home receives the most attention when it comes to decorating and improvements, there is no doubt that the exterior of a home is what makes the first impression. Seeing as the garage is the focal point of your exterior masterpiece, it is important that you choose the right type and style. If you are in the process of building a new garage, here are some questions to ask when choosing the right style for your home. 1. Does the Material Work for Your Climate? In order to ensure the durability of your garage, you must take an honest assessment of the impact your climate will have on its structure, especially the door. Depending on your geographic location you will choose from metal, fiberglass, or wood/timber for your home. Wood: If you have a rustic exterior home or just simply love the sleek yet contemporary finish of wood panels, look to Cedar, Larch, or Hemlock for potential options. However, remember that wooden garage doors are the most expensive of the three types. Metal: Metal garage doors offer the unique flexibility of being either lightweight or heavy, depending on your home’s needs. Aluminum doors are lightweight and are specifically ideal for homes that don’t want to use a higher-powered motorized garage door opener. 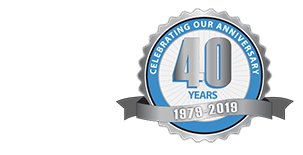 Steel garages are typically beneficial for regions prone to high winds and intense weather. Aside from the weather, steel can also be used for homes that are older, as they provide durability and can be painted in a variety of colors. Fiberglass: Fiberglass doors are particularly ideal if you live in a region that experiences periods of high heat and extreme cold. This material is durable and a great insulator—sure to keep those heating and cooling bills manageable across the seasons. Also, fiberglass is more resistant to splitting and cracking unlike wood doors. Walk out to the end of your driveway and assess your home as a whole. How does your current garage reflect the rest of your home? Is it hidden or in plain sight? This is important because it will conclude how closely your garage should mimic the aesthetics of your home. The further the garage is from your home, the more unique and individualized designs you can explore. Garages have come along way over the years so embrace your creativity! Consider adding windows and lights in addition to the variety of potential color schemes. 3. What are the Different Advantages of Each Type? Gable Garages: The gable roof is one of the most common, not only for aesthetic purposes, but also for the large amount of interior space that it can provide. Other advantages of gable garages include vaulted ceilings that allow for increased storage space. Hip Garages: A hip garage may seem like the most basic and simple option, but with the right touches, it can be an extremely attractive addition to your home and property while still being affordable and functional. Hip garages are also extremely strong and cost-effective. Gambrel Garages: Perhaps the biggest advantage of the gambrel garage is the added space. You receive the maximum amount of usable space, compared to other garage types. In fact, most will even allow for a second floor in the garage. With the addition of a dormer, such as extending a shed dormer off of the upper roof, you can increase the usable interior space even more. 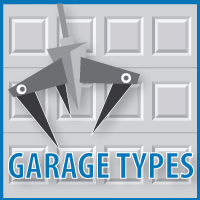 For help planning your next garage project, contact us today!